I’ve been telling my husband to share one of his pies with us again. 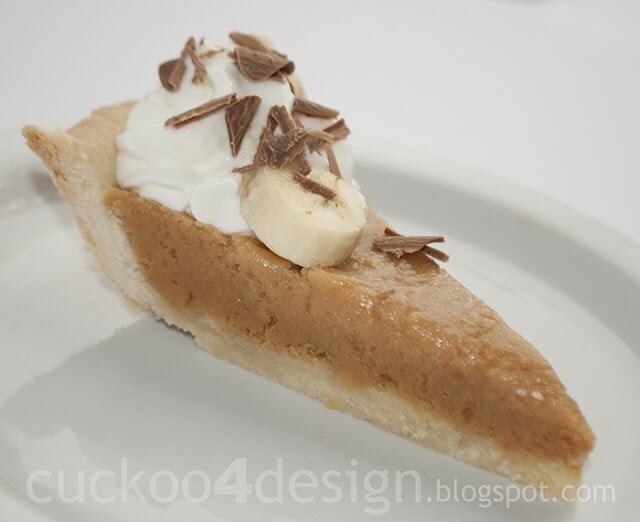 Remember his Boston Banoffee Pie? It’s a family favorite? 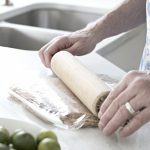 My husband keeps trying to make gluten free things for our daughter. So I thought it was a good time to share his gluten-free Key Lime Pie. It’s so so yummy. 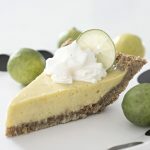 Whether you are gluten-free or not, this easy gluten-free key lime pie tastes incredibly yummy and you would never know the difference. 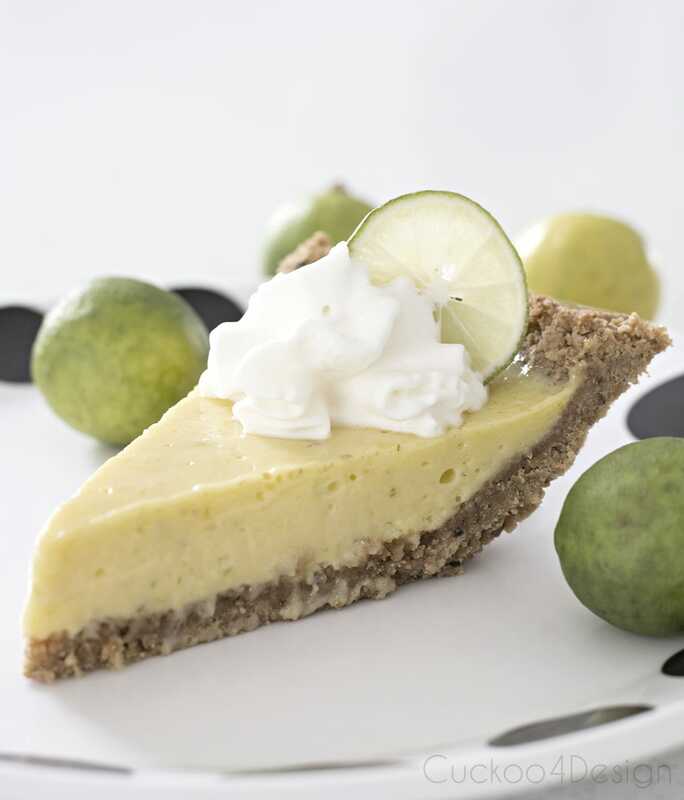 The fresh squeezed key lime juice in this pie gives it the unique flavor of an American summer. 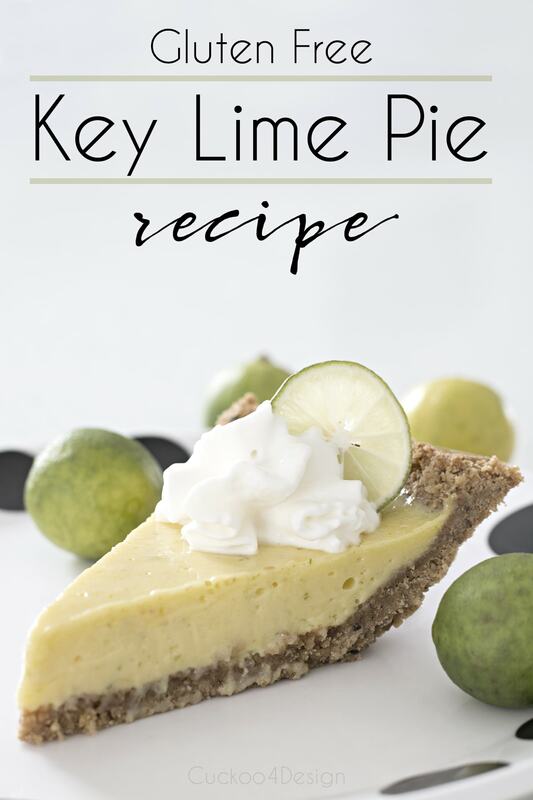 To me this is the best Key Lime Pie ever and our friends agree. The crust is super easy and incredibly yummy. 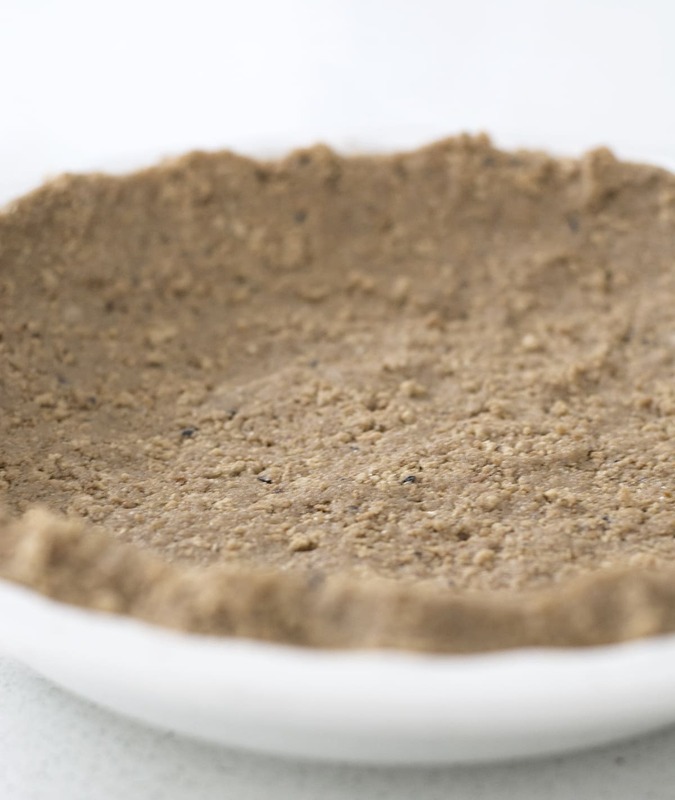 There are different recipes out there to make this crust for a variety of pies. 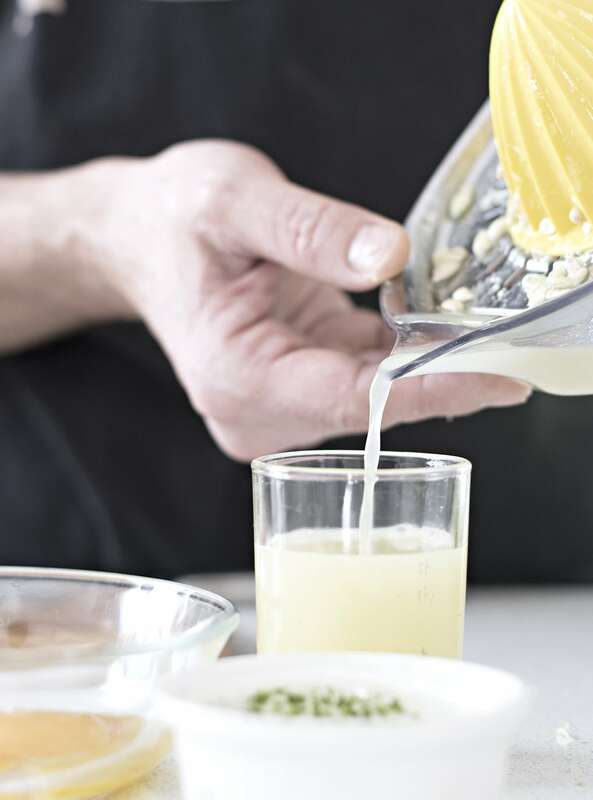 We use Schär Gluten-Free Honeygrams (I’m sure others would work too but we are a fan of Schär Gluten-free products ever since discovering them in Germany (and no this is not a sponsored post). 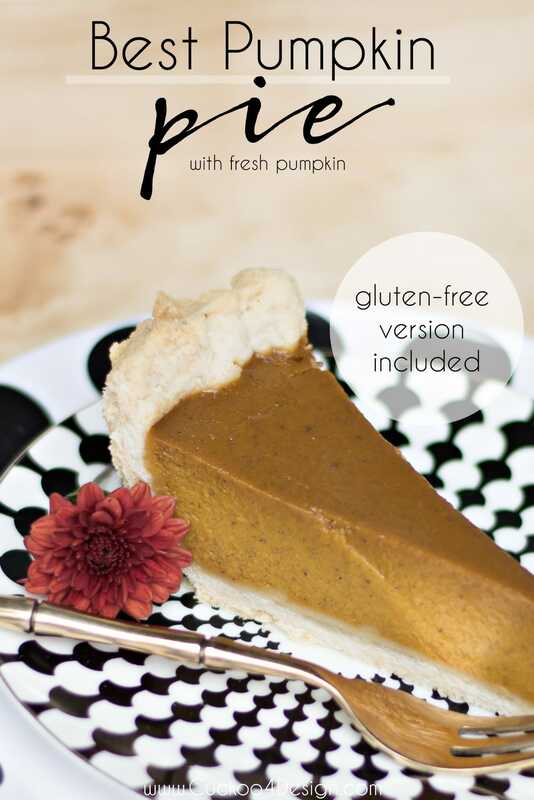 Whether you are gluten-free or not, this pie tastes incredibly yummy and you would never know the difference. 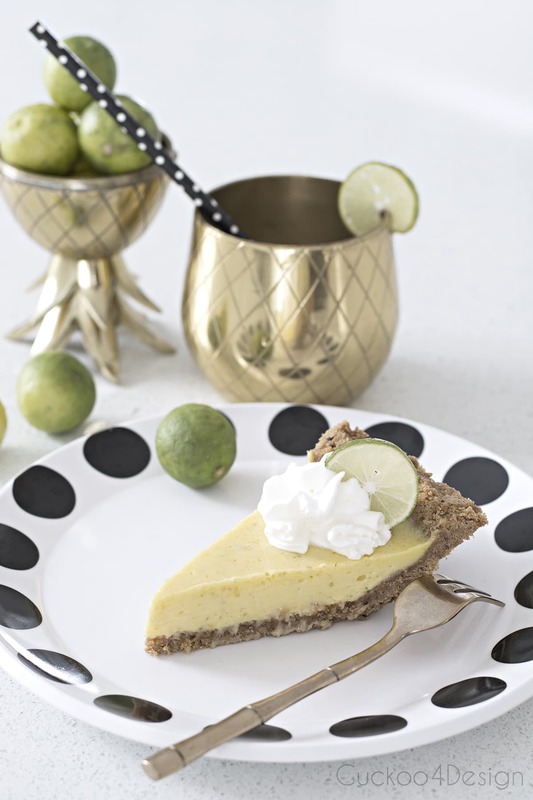 The fresh squeezed key lime juice in this pie gives it the unique flavor of an American summer. 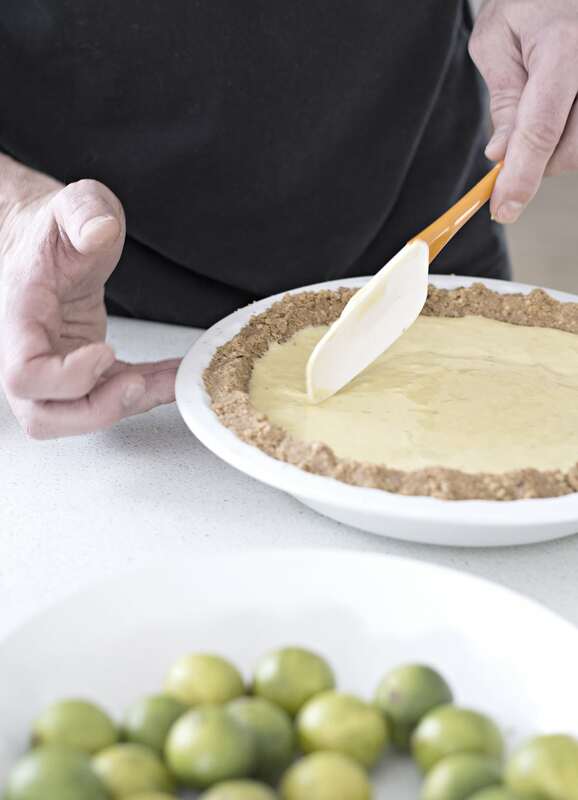 You can serve the chilled slice of pie with some fresh whipped cream and garnish with a sliver of fresh key lime. Enjoy! Above you can see how my husband crushed the crackers described in the recipe. 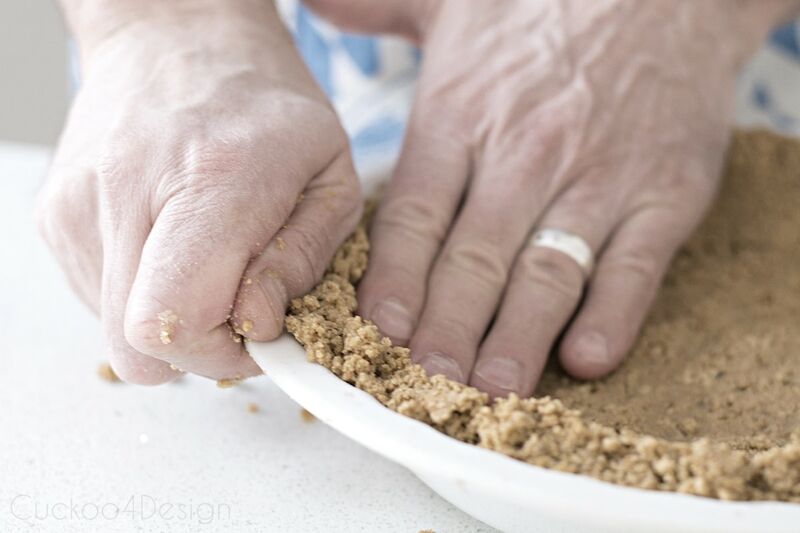 Below you can see how the gluten-free pie crust gets firmly pressed into the pie pan with your hands. Gosh I could just eat this crust with a spoon alone. It’s so good! 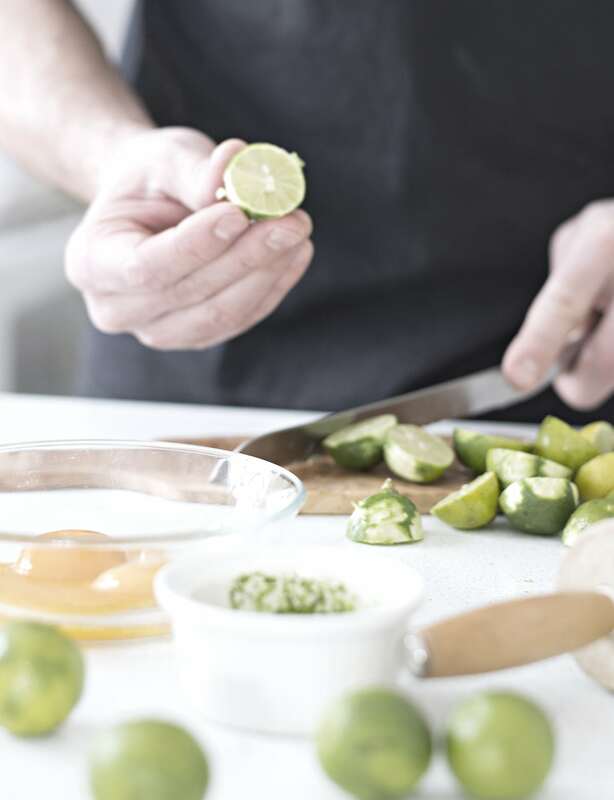 We use a simple grater to get the lime peel zest. 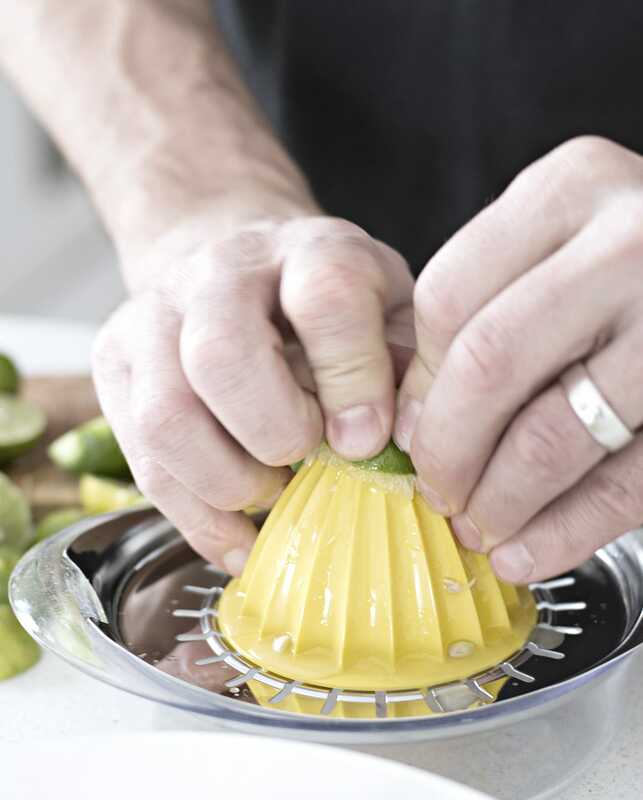 Key limes are tiny and you need to cute and squeeze quite a couple of them to get enough nice. After mixing all the ingredients in a bowl for the filling. 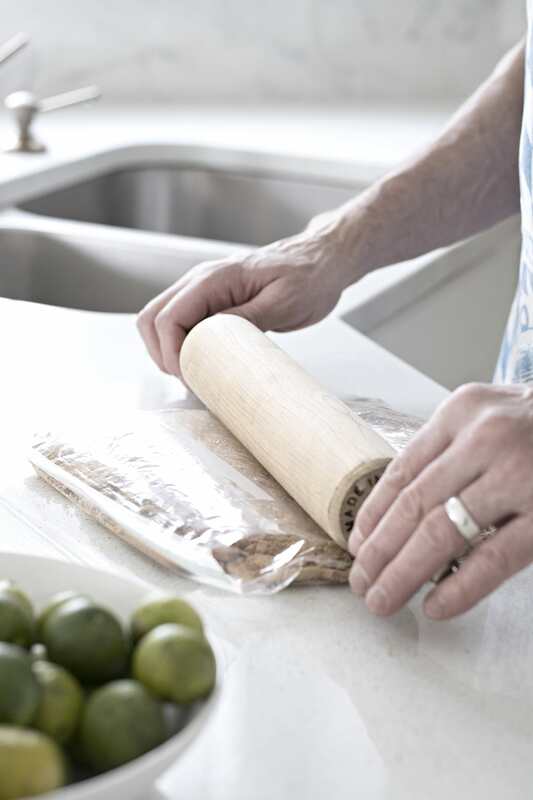 You just pour it into the gluten-free pie crust, even it out and put it in the over for 10 minutes. Click on the photos to see the posts. ooooh this looks amazing! 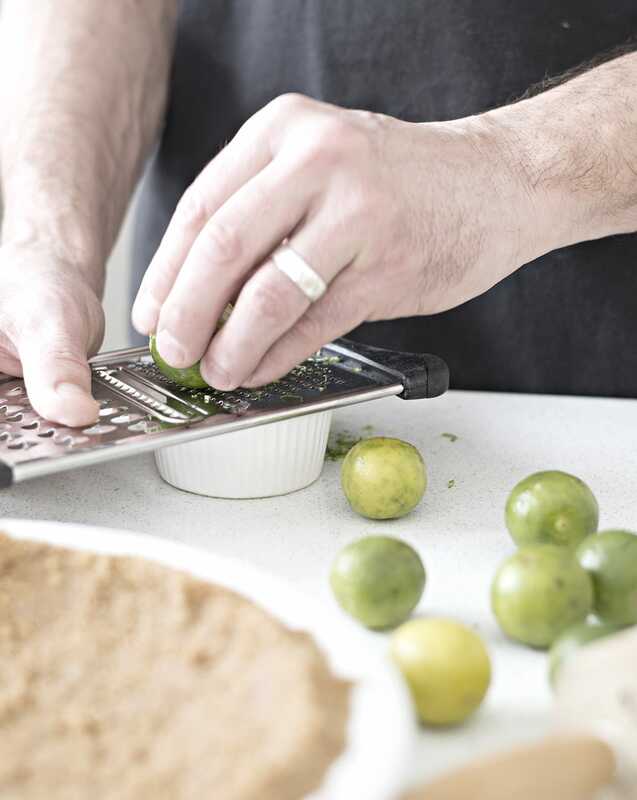 we are huge key lime fans over here! Hi. Julia, uh no! 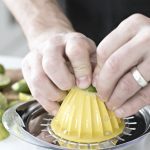 No Key Lime fans here! Now if you’re talking Coconut Cream pie then we can talk. Ha! Looks good though. Yum, I have a key lime tree in my backyard loaded with buds. 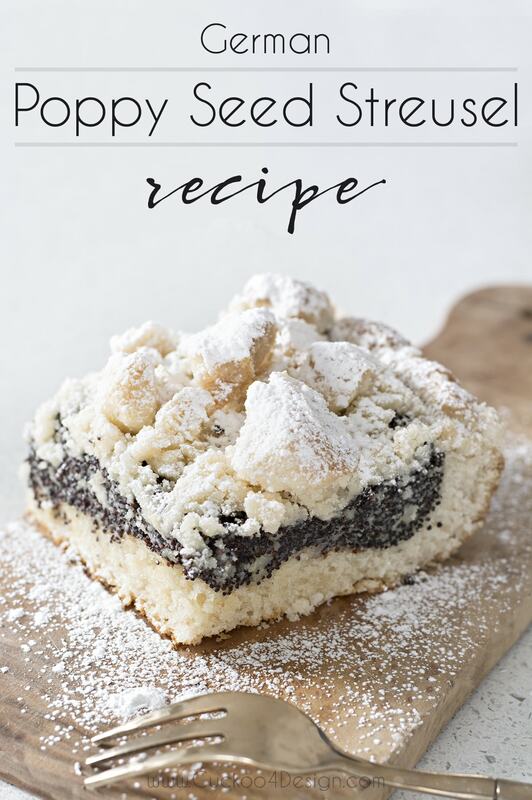 I’m going to try this recipe out for my father in law, who is gluten free. Thanks!!! Oh awesome! Even if you aren’t gluten-free it tastes amazing. 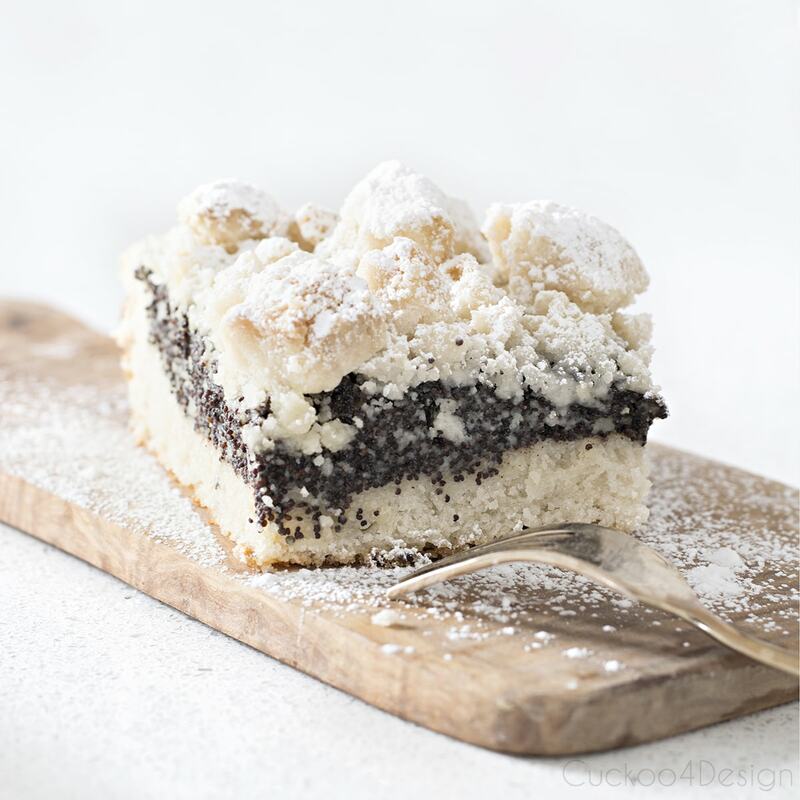 There is no reason to make one with gluten because it’s so good. I’m with Noa, not a huge fan of Keylime pie, but I do love the apron!